When Pyro is blocked, he deals 1 damage to your opponent. 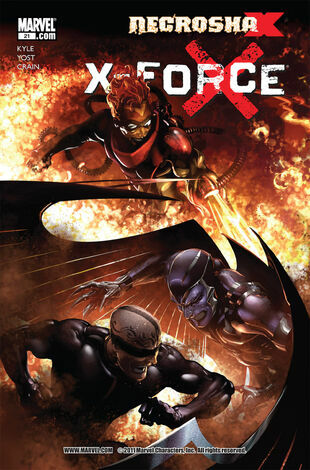 ^ X-Force Vol 2008 #21. Marvel Database Wikia. Retrieved 20 July 2015.